With thousands of journeys behind us, the one that begins today takes us on a special voyage to re-establish the Huckins legacy, by visiting each and every Huckins yacht that is still afloat. After a six-hour drive, my husband Buddy and I arrived at the Pelican Isle Yacht Club, Bonita Springs, FL, nestled in a quiet inlet on the Gulf of Mexico. 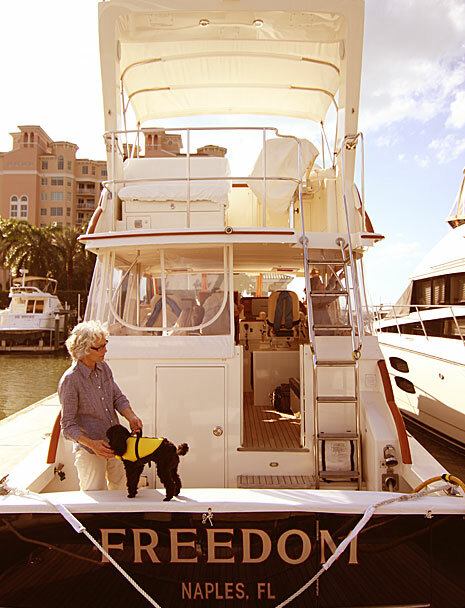 We walked down the docks to meet with Charles and Lena Ruppman aboard their 2009 Huckins, Freedom, Hull #457. I was hoping Buddy would keep his candid remarks to a minimumâ€”after all, this was just our first visit. Owners usually find Huckins by good old word of mouth, and for Charles and Lena Ruppman, this was also the case. An older Huckins yacht, the Wanderer, was the inspiration for the Ruppmans to invest in the construction of Freedom. Lena remembered the story and recounts, "I told Charles he was going to fall in love with this boat. So, he immediately went and introduced himself to the Wanderer's owner and asked if he could go on board." I told Charles he was going to fall in love with this boat. So, he immediately went and introduced himself to the Wanderer's owner and asked if he could go on board. Eighteen months later, after planning, designing and building from scratch, the Ruppmans' Freedom was born. Charles and Lena Ruppman were involved with the entire process, from designing a custom vanity area for Lena and a large shower for Charles, to installing duel navigation and electronic control systems so both Lena and Charles could captain the boat. Every inch of their 50'4" yacht was thoughtfully put together and planned. This is one of the luxuries of owning a Huckins. 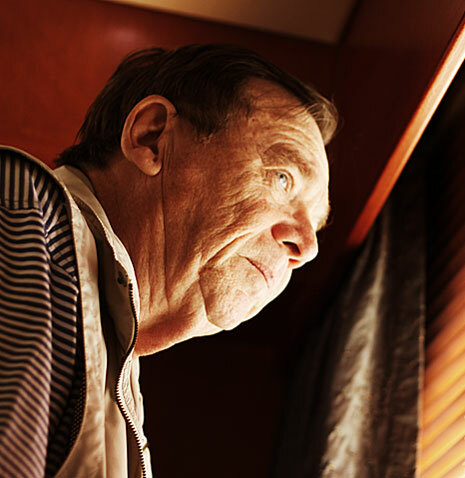 Buddy, the investigator that he is, was getting anxious and took the liberty of exploring the boat on his own, in search of any worn or damaged areas. Luckily, the Ruppmans didn't seem to mind. To read more about our first visit and to find out whether or not Buddy discovered any surprises in the engine room, check back soon.